At a meeting held on Monday, Jan. 7, the council voted 3-2 to close 1st Avenue Northeast between Highway 43 North and 1st Street Northeast. Effective immediately, traffic from Highway 43 onto the street will be blocked. 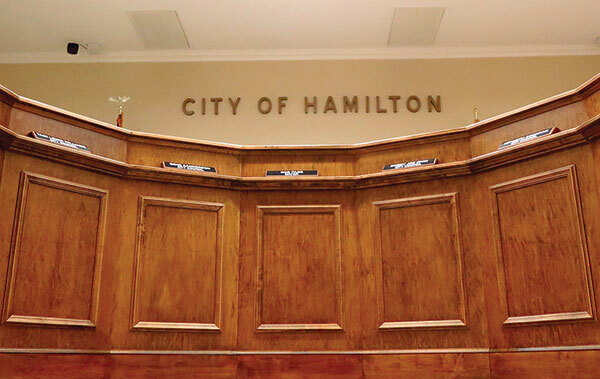 Hamilton Mayor Bob Page and councilors Gene Sanderson and Wade Sullins voted “yes.” Councilors Tami Lewis Williams and Herb Winsett voted against the measure. The Methodist church formally requested that the city close the 200-foot street at a hearing in October 2018. Hamilton United Methodist Church minister Jeff Armbrester has expressed that the street divides the church’s main building and its playground just north of it. The church asked for the street to be closed due to safety concerns with their children crossing it to get to the playground, located just north of its main building. It would also help enable the church in future expansions without having to relocate or build farther from its main facility. Sanderson and Williams have vocalized their concerns that 2nd Ave. Northest is not sufficiently sized to serve the business traffic for That Seafood Place, Nu Way Vape and a beauty salon. Hamilton City Attorney Scott Hunt told the council on Jan. 7 that the methodist church has agreed to grant the city a 120-square-foot easement on its property which borders 2nd Ave. NE if it is later determined that it will need to be widened. Having observed and studied traffic in the area, Hamilton Street Superintendent Mike Johnson does not expect the closing of 1st Ave. NE will have much of an impact. Johnson said that many of the motorists who use the street are doing so to avoid Hamilton’s main light. Sanderson offered his support for the closure of the street upon confirming that the church was willing to give the city an easement on 2nd Ave. NE. Williams said that she voted against the measure because she believed the council needed more precise wording on exactly how the closing would be handled. Winsett said that the only he reason voted against the closure was because he had promised a 91-year-old woman that he would do so, though he knew it would ultimately pass.